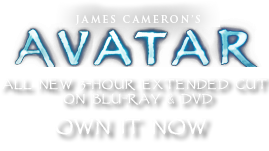 Antenna Lashing | Pandorapedia: The Official Guide to Pandora | Own AVATAR on Blu-ray & DVD Now! All Na'vi must construct a personalized hand-hold for their banshee’s antennae after they have bonded. The lashings form a solid hand grip so the Na’vi rider can ride with the left hand, freeing the right hand for holding the bow. The Na'vi and banshee are then able to fly in perfect coordination. During nocking and firing of an arrow, the rider must grip the banshee with knee pressure only, which requires perfect balance. Bowmanship from a flying banshee takes months of practice to perfect. This piece of tack is called “Eywa te' (personal name) tan'sey mak'ta. This translates roughly as “the love of Eywa's embrace is gifted to (the rider's name)” This is an acknowledgement of the beauty of connecting with the consciousness of another living creature such as banshee or dire horse. Function a system of lashings to bind the banshee’s two antennae together, to form a single-handed grip for the Na’vi rider. Materials and Construction a carved and polished wood or bone cross-piece with leather and cloth bindings.